Another cloudy day on tap, after all, that’s been the theme of the week… It’s the calm before the storm. Despite the clouds conditions will remain dry with temperatures in the low 40s. 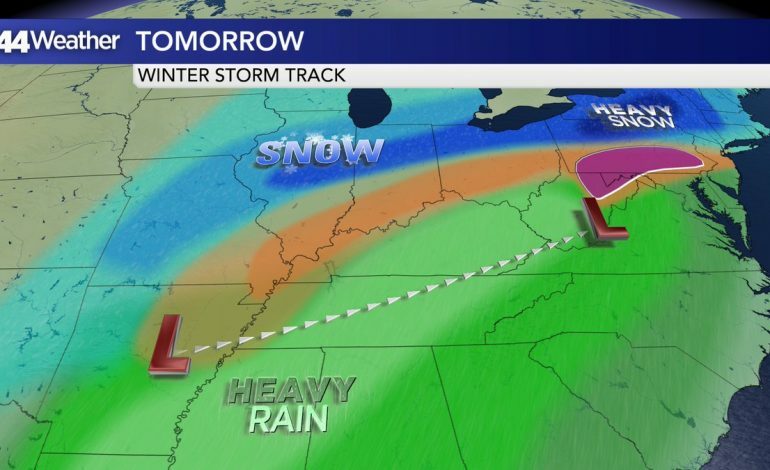 The storm system that will affect the region Saturday is coming out of the Rockies and is taking shape in the Plains, snow, ice, rain and wind all moving eastward. This storm will be making headlines over the next few days. The low will track through TN & KY spreading heavy snow to our north and rain into the area Saturday morning. 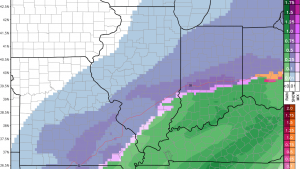 Significant snowfall is likely north of the Tri-State. 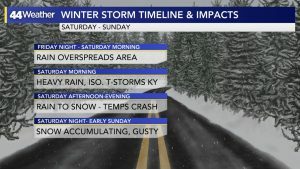 Here’s the latest timeline, expecting rain to begin overnight in our western counties overspreading the area by daybreak. The changes comes in the afternoon as arctic air dives southward, rain will change to sleet than snow, we will see a burst of snow late Saturday afternoon-evening. With temperatures falling, heavy snow possible, and winds gusting to 40 mph, this will create slick conditions. 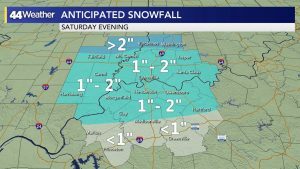 Expecting snowfall to accumulate 1-2″ across most of the region, with the exception of the southern most parts of the area. 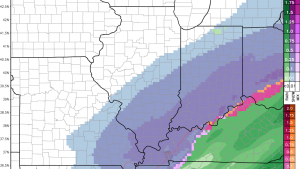 It’s possible in our far northern areas we could see 2″+. The other story will be the howling winds and frigid wind chills that will develop late Saturday through Sunday morning. 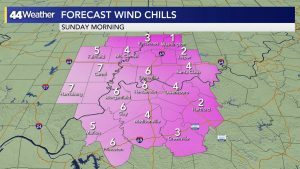 Could see wind chills in the SINGLE digits and TEENS by Sunday morning. Highs will only reach the low to mid 20s.